Sooo.. Exciting news! Last week I started my course in Media Makeup which I've been waiting all summer to start! So now I'm officially a training makeup artist and I couldn't be happier! For the course, I had to purchase a makeup kit to get me started and as you can guess by the title I bought a MAC kit! The kit came with so many beautiful products but I was particularly excited about these four eyeshadows! I love MAC eyeshadows so I was super excited when I found out that there would be four more of their eyeshadows heading my way. The shades included in my kit are (left to right) Shroom, Satin Taupe, Brun and Embark. Shroom is a light cool toned cream colour which does have some shimmer and it is definitely one of my favourites out of the four shades I have, it blends really easily and looks lovely paired with Satin Taupe which is of course a taupe shade! This shade does have shimmer in it as well which means that its really easy to blend. Brun is a cool toned brown and I really liked the colour of it in the pan however when I swatched it on the back of my hand it definitely wasn't as pigmented as I hoped it would be! Embark is a red toned brown which was the shade I was most excited about! 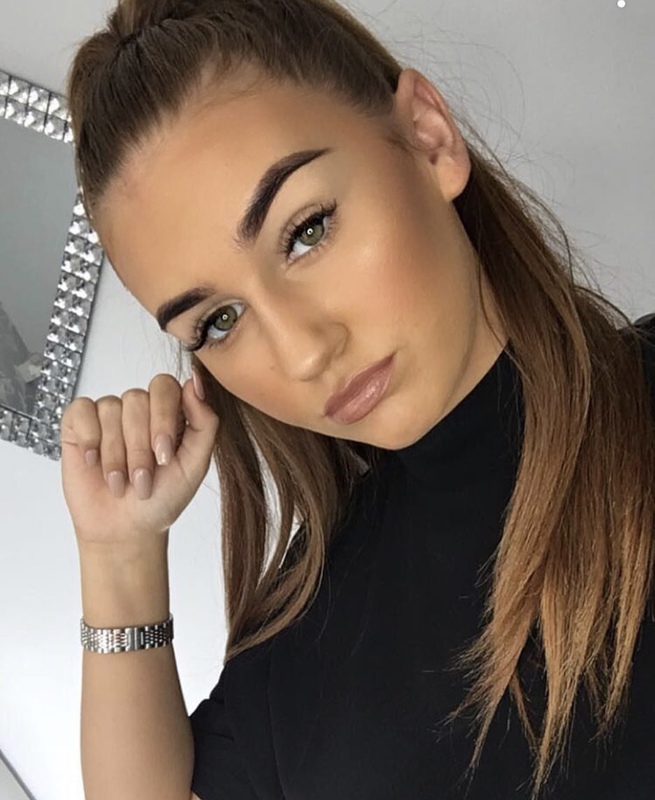 It's mid September now and I'm definitely feeling some autumn vibes creeping around in the UK so warm toned brown eyeshadows like this one are perfect for this season! And I'm definitely thinking that this is going to be one of my go to eyeshadows! 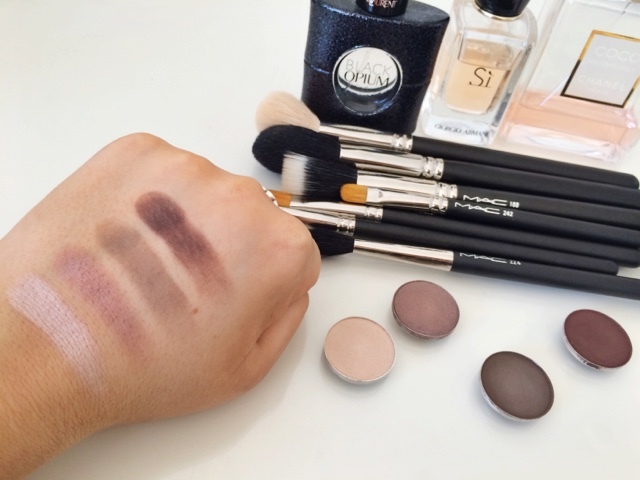 Let me know what your favourite eyeshadows are (MAC or any other brand!) in the comments! See you soon! 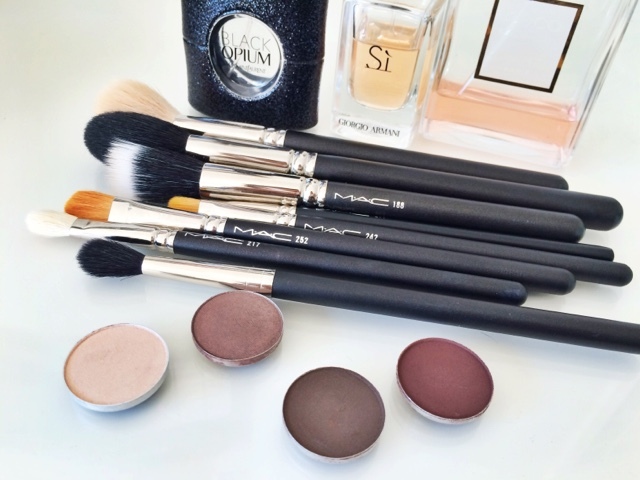 Definitely going to have to buy a few MAC eyeshadow after reading this post! Also, your photography is amazing- 100% my new fave blog!